A computing legend who 'changed the way the world communicates' has died. 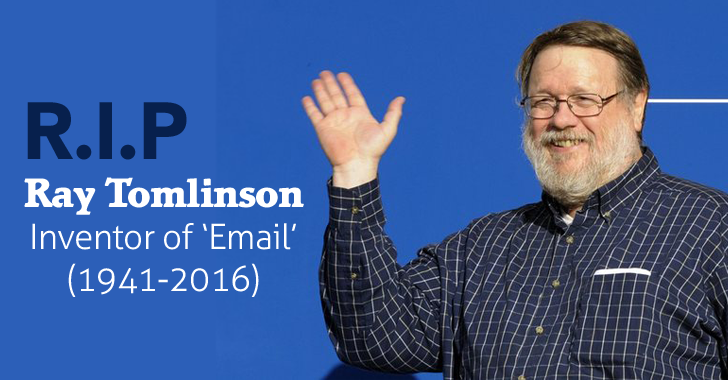 RAY TOMLINSON, the man who invented email as we know it today and picked the @ symbol for email addresses, passed away at the age of 75 following an apparent heart attack Saturday morning, according to reports. Hard to believe but 'the godfather of email' has passed away. His death was confirmed by Mike Doble, director of corporate PR at Tomlinson's employer Raytheon. "A true technology pioneer, Ray was the man who brought us the email in the early days of networked computers," Doble said in a statement confirming Tomlinson's death. The Internet reacted with sadness over the death of Tomlinson, who became a legend for his invention in 1971 of a system that allowed a user on one network to send a message to other computer users on other networks. "Thank you, Ray Tomlinson, for inventing email and putting the @ sign on the map. #RIP," Gmail tweeted yesterday. At the time of his invention, Tomlinson was working on ARPANET – predecessor of the modern Internet – at research and design company Bolt Beranek and Newman (now BBN Technologies). Tomlinson used @ symbol in the email address in order to separate the username from the host name. By the 1990s email had become a pillar of the Internet and Tomlinson was inducted into the Internet Hall of Fame in 2012, though he could not say what the very first email sent back in 1971 actually said. "I sent a number of test messages to myself from one machine to the other. The test messages were entirely forgettable and, therefore, forgotten."